If your response takes more than a minute and involves counting things off on your fingers and toes, you have a problem. Going too broad with products and services is a common small business mistake. And a costly one! You can end up burning through valuable resources, like time, energy and money. Ironically, it is when you are trying to be the best at everything that you are most likely to fail at becoming the best at anything. Stop trying to think BIG. Instead, focus on identifying that one thing you can do BEST. Why is it so important to find your business niche? This one thing represents your BIG opportunity. You can’t do everything and compete with everyone. So finding your business niche gives you focus and a competitive advantage. I use the example of two restaurants that opened in my neighbourhood at the same time. Restaurant #1 had a four-page menu that included authentic Italian cuisine, Greek dishes, and common pub fare like chicken wings. It went bankrupt in less than a year. Everything tasted great but I never picked that restaurant. When I wanted Italian, I went to an “Italian place”. When I wanted Greek, I went to a “Greek place”. And when I wanted chicken wings, I went to a pub. Restaurant #2 served only pizza and salads. But they made everything in a brick-oven, which was cool. And they used local-sourced ingredients and offered gluten-free crusts. I don’t feel guilty about feeding my kids “healthy” pizza. So this place became a go-to option for family dinners and take-out. Flash forward 10 years… Restaurant #2 has three locations and an expanded menu. Now it includes specialty desserts, like homemade s’mores, that they make in their brick oven. To find your business niche you must find your passion! Running a business is HARD work. You have to endure long hours and endless challenges. And that’s easier when you really care about what you are doing. That pizza restaurant owner has a genuine passion for pizza. In fact, she has competed in – and won – international pizza-making events (Yes. These are a real thing!). Is pizza the only thing she thinks about? I doubt it. She has an adorable son who is definitely closer to her heart than cheese and toppings. But it is clear that she deeply appreciates the “art” of pizza making. To be clear, I don’t think “finding your passion” requires you to spend months alone on a mountain top. This isn’t a soul-searching quest for the meaning of life. When it comes to finding your business niche, don’t over-complicate things! Start by just pondering your personal interests. Ask yourself questions about the things that are important to you. And try to squeeze at least 8-10 “passion points” out of your answers. If you had time to learn something new… what would it be? Which of your skills do you take the most pride in? Once you have that list of things that ignite a fire within you, look at each one. Which passion seems easiest translate into a profitable business? 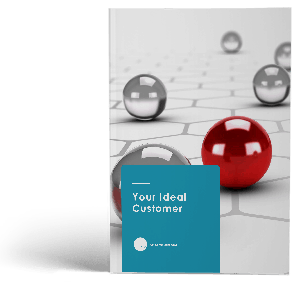 What problems, or pain points, are your ideal customers having? How could you solve those problems? As you focus on problem-solving, potential opportunities should start to emerge. Your goal is to uncover a pain point within the market that aligns (in some way) with your skills and interests. In today’s digital world, there are lots of simple ways to research the potential strength of your market. Start by doing some keyword research. Search out related keywords and see what pops up. This is a great way to find the things people are looking for within the areas you feel passionate about. Online forums are a great place to identify things people have questions about. And problems they are trying to solve. Search Quora. There may also be forums more directly related to your niche, but Quora is a good place to start. And don’t forget about one-to-one conversations! To find your business niche, you may want to start by talking to existing customers. Questionnaires and surveys are also a great way to collect insights. It is unlikely that you are going to find a niche so unique that no one else is in that space. In fact, if there are no competitors, you should ask yourself “why not?”. Be wary of having no competition! Because it may mean the niche is too small to be profitable. As you look at what competitors are doing, put yourself in the headspace of your ideal customer. What customer problems are competitors already solving well? These are things you want to do too. This isn’t about copying their ideas. It’s about identifying their strengths. Then you can incorporate those positives into your business. And, of course, improve on them! What customer pain points still exist? Check out the comments people are making about competitors. Those comments can reveal gaps… Opportunities to solve problems that competitors are failing to solve. If you are already an established business, fast changes can cause more harm than good. And if you are a new startup, jumping straight into the deep end of a niche market can chew up your money. I recommend taking a more prudent approach. Give yourself a conservative budget. And take the time to make a business plan. Successful businesses think strategically about everything they do. Having a solid plan will help keep your activities on track. And, despite popular belief, pouring a ton of money into something is NOT always productive. In fact, keeping your financial investment small can bring big benefits. A small budget keeps you focused. It encourages you to be creative. It keeps your risk low and your efficiency level high! And it ensures that you don’t go broke before you have a chance to succeed. Finding your niche is not about limiting your business; it is about focusing so that you can use your resources wisely. Over time, a niche business can grow by expanding in ways that still align with its original purpose. And it’s easier to scale up when you are working with a smaller, more defined set of products or services. Business success is not dependent on being the best at everything. But it does require you to be the best at something that people want. So find your niche. After that, it’s all about staying focused and working hard!